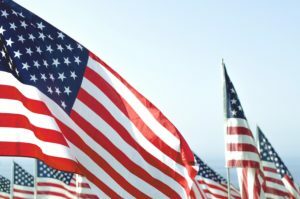 Ruby’s Diner is celebrating the extraordinary brave men and women who have served in our Nation’s military. Your service to our country has kept our home safe and free, and we appreciate your sacrifice, accomplishment, and dedication. This Veterans Day, all veterans and active duty members of the military are invited to enjoy a Ruby’s adult entrée on the house. On Saturday, November 11, 2017 participating Ruby’s Diner locations will offer guests that present a valid military ID with a complimentary meal for breakfast, lunch or dinner. Meal options include a Two Eggs Combo Breakfast (available until 11:30am) or the Classic RubyBurger (available open to close). 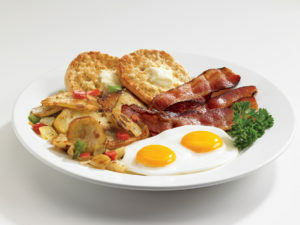 The Two Eggs Combo Breakfast is the perfect power breakfast! Start your day with two eggs cooked any way you like with a choice of thick-cut bacon, turkey bacon, lean country ham, club sausage links, veggie sausage or turkey sausage. Served with your choice of toast or English muffin. Available until 11:30am at participating locations. Still simple and delicious after all these years, the Classic RubyBurger is topped with crisp lettuce, tomato, RubySauce and a choice of double thick American cheese, Swiss, cheddar, bleu cheese, pepper jack or low-fat American cheese. Served with a side of classic French fries. Available from open to close at participating locations. The following locations will be participating in our Veterans Day special. Excludes casinos, airports, sporting venues & food court locations. Offer may vary by location. Want to see what else we’ve got planned? Check out the rest of our Ruby News here!